The 2013 season has started out with two great Sundays of action. 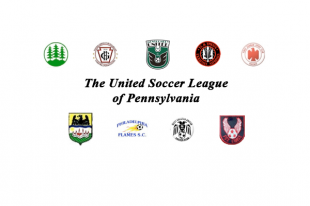 The new teams in the league, Montgomery United and Fox Chase SC, are making their presence felt, and results point to another highly competitive season for both the Men’s and Women’s Major Divisions. This year, the Men’s Division features Danubia SC Black 47, Montgomery United, Phoenix, Ukrainian Nationals, United German Hungarians, Vereinigung Ezgergirge, and West Chester United. In the Women’s Division are new comer Fox Chase, Philadelphia Flames, Phoenix, UGH Dragons and UGH Fury, Ukrainian Nationals, and Vereinigung Erzgebirge. For anyone who would like to check out the action, matches are Sunday afternoons, either 12 or 2:30 pm. Many of our clubs have private fields with adjoining clubhouses where you can stop in for a meal or a pint. The schedule is posted HERE, or you can visit the league website at www.UnitedSoccerLeague.us.